Holy guacamole it’s been a while since I last posted! Apologies for the white noise. With glorious autumn in full swing, wedding show season returns and last Sunday saw Frog & Pencil exhibiting at our penultimate fair of the year, the Oxnead Wedding Show hosted by Norfolk Brides. Even though I’ve truly enjoyed my previous fair experiences, I’ll be honest, up to this point, being a part of these hasn’t been as successful as we would have liked. In fact, it became a little disheartening. However, I knew that I was invested in two more before the end of the year and I really wanted to make the most of them. This began with the hubby and I having a really forthright chat about the fairs. We typed up a big list of what works well, what to scrap and what we can develop. The first big issue we both sensed is that on a whole most people who visit my stand just don’t get it. Something isn’t connecting with them and that’s a huge problem. For example, at a previous fair, someone thought I hired out exotic birds…zilch to do with stationery. To rectify this, it was decided that we needed clear signage pointing out what I create and what’s on the table. The second problem, which relates with the first, is the stand itself. Having been a part of three fairs with a similar set up it was time for a change. I wanted to bring in height, lots and lots of lovely height! With more work displayed around your eye line, it is much harder to walk past while trying to figure out why some Frog is there hiring out exotic birds! 😉 After a little bit of research, I settled on buying these gorgeous wooden crates to elevate my stand to the next level. They required the Frog & Pencil touch and with some sanding, priming, a lick of paint and a bit of love, they were perfect. The third obstacle is me. I want to be more engaged with couples but I’m not a pushy person and I’ve always led by watching others body language. If they don’t look interested I don’t interrupt but if they do, then I’ll hop in. It’s extremely difficult for me to initiate the conversation and for it to be natural but I’m working on it. Thankfully that’s something Lewie is pretty damn brilliant at! This resulted in a new tactic, to be a more ‘persuasive’ and to have a few handy openers up my sleeve to experiment with. Further to engaging with couples, I thought it would be beneficial to run a cracker of a competition. A chance to win an original Frog & Pencil watercolour couples portrait. Not only would this enable me with a talking point but additionally be a great way to capture some contacts for a mailing list. Armed with new luscious props, a fresh approach and most importantly, fabulous designs, we were ready to tackle Oxnead! Luckily we had the option to set up the day before which was certainly a life saver and helped keep those pesky nerves at bay. Especially so with a new set up, I was able to take my time to place each piece. The boxes were doing their job and height was achieved. My signs were clear and easy to read. The stationery looked fab taking centre stage (through this new set up phase I kept reminding myself that it’s all about how best to show off my work and make that shine) and the paper flowers I created were the cherry on the top. That afternoon I left as one happy frog, it was looking ace! Sunday morning I was feeling great! With little left to do apart from the odd tweak, I could relax, have a coffee and get settled in my positive head space. I was determined to not be shy…and the whole day was AMAZING! From 10am Oxnead Hall was buzzing. There was a great atmosphere and so many wonderful couples to talk to, in fact, it felt like I never stopped chatting. To me, something clicked, I found my fair swagger and enjoyed every moment. We received a lot of attention and my new bridesmaid cards were a hit with Brides. The competition was a winner too, I was delighted when I had my first sign up! The moment we had two the game was afoot, we had ourselves a legit competition! It finished with forty sign ups and I am over the moon. I don’t know if the shift is down to a little more experience but I am positive that taking time to reflect and making some key changes gave us such a boost. It’s so important to look back and analyse and I’ll continue to do so with the whole of my business. Oxnead was great for us and I even came home to some e-mails…that’s my first! I’m keeping everything crossed that we carry on moving in this wonderfully productive direction. Signage prep for Frog & Pencil’s stand at the Oxnead Wedding Show. Oxnead Wedding Show prep includes making a gazillion gorgeous paper flowers…that was a lot of hot glue! The Illustrator setting up her stand for the Oxnead Wedding Show – look at that concentration! 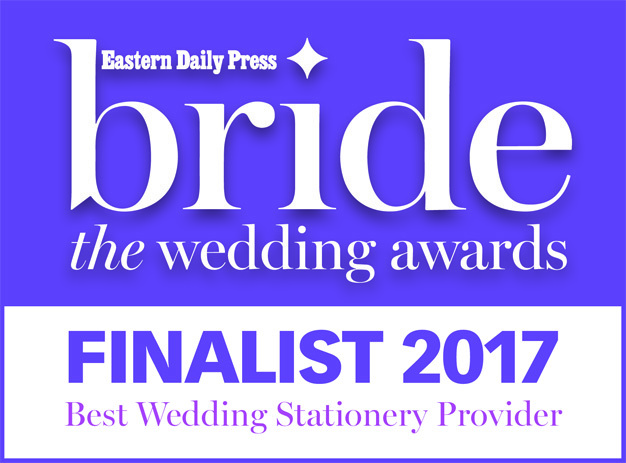 Behind the scenes – Frog & Pencil set up for the Oxnead Wedding Show and we’re making a little bit of mess…sorry Norfolk Brides! Frog & Pencil stand at the Oxnead Wedding Show – close up of work. Close up shot of the Frog & Pencil stand at the Oxnead Wedding Show adorned with paper flowers. Lovely Emma of Buns of Fun flexing that creative muscle! Delicious bakes from the super creative Buns of Fun Emma! The Illustrator stood proudly in front of the Frog & Pencil stand for the Oxnead Wedding Show. I love this set up! La Belle Amour’s beautiful set up at the Oxnead Wedding Show – crazy about those balloons! Part of Lou Lou Loves Vintage set up at the Oxnead Wedding Show. Swooning over these light up letters! Frog & Pencil paper flower close up at the Oxnead Wedding Show. I love these little beauties. Close up of my new, clear signage for Frog & Pencil’s stand at the Oxnead Wedding Show. The Bottom Drawer Bridal’s set up at the Oxnead Wedding Show…that dress though! Frog & Pencil watercolour portrait close up at the Oxnead Wedding Show. My lovely hairy hubby/tech guy/assistant Lewie whose a dab hand at these now! Norfolk Brides managed to pack Oxnead Hall to the rafters with amazing suppliers, including two of my favourites, Bigphatphotos & Buns of Fun – I’ve mentioned these guys in posts before, they’re awesomely talented & creative, so check them out! Here are a few new businesses that stood out for me on the day. Lou Lou Loves Vintage Hire: Lou Lou Loves offers a unique wedding hire and styling service and I loved all of her items on the day. If you’re looking for rustic, vintage, boho, festival or retro goodies to adorn your wedding then contact Lou, she’s got loads of brilliant stuff and she’s lovely to boot! Bottom Drawer Bridal: Brides to be, check out Bottom Drawer Bridal and prepare to swoon! I’ve been a big admirer of this business for a while and I was chuffed to finally meet Victoria. Her gowns are stunning (check out that floral number, LOVE it!) but what I like is that she offers something a little different too. Make an appointment and hop on over to her adorable shop to enjoy a beautiful bridal experience. Little Horse Box: I’ve followed this company on social media as they transformed their Little Horse Box into a luxury mobile wine bar. It’s just gorgeous and perfect for weddings and special occasions…I especially would like to take part in their ‘pimp your prosecco’ offer! Liddy is super lovely and I have a feeling this is going to be popular! Give her a call to snag your date. La Belle Flowers: These florals were just delightful and smelt amazing! I loved her little touches to detail, such as the blooms in the welly boot and the shotgun cartridge button-hole. If you’re looking for some gorgeous flowers, get in touch. MS Provision: Mike creates beautiful storytelling films of your wedding day that are just wonderful. He’s also really friendly which makes you feel instantly at ease. If you’re looking to capture your day on film, give him a call. La Belle Amour: This company offers a wedding styling and design service for couples and they also hire out props too. Kelly’s stand was beautiful. I loved the simplicity, natural and chic sophistication it offered. If this sounds like your big day, give her site a look. 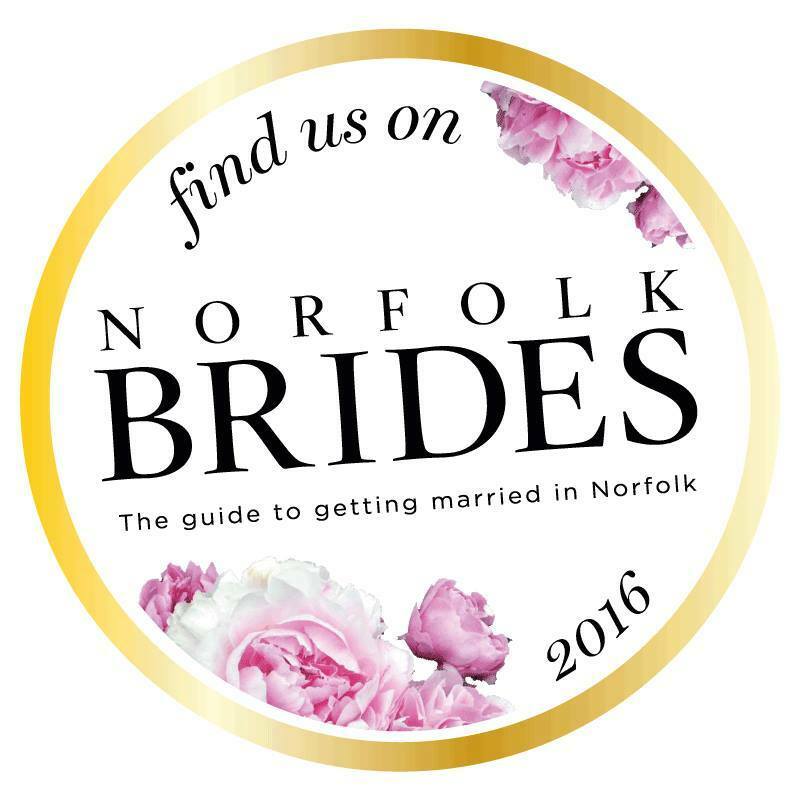 Thanks for having us Norfolk Brides and I truly enjoyed chatting to all you lovely couples. Competition winner to be announced soon, so keep an eye out on my social media pages! My final wedding fair of the year is coming up next weekend and it’s going to be a goodun’. Keep your eyes peeled for The Most Unusual Wedding Fair at Godwick Great Barn.